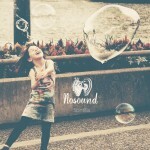 Share the post "Album review: NOSOUND – Scintilla"
Italian maestro Giancarlo Erra has been honing his craft under the Art/Progressive Rock moniker Nosound since 2002 and, according to the press release issued by the band’s current label Kscope, in studio album number six entitled “Scintilla”, the multi-talented frontman has decided to stir his musical ‘vessel’ into new/uncharted ‘waters’. While emphasis has indeed been placed on feeling rather than technique, with the acoustic guitar indulging in fairly straight forwards melodies/themes and acquiring a more central role in the proceedings, those of you who have been following the band’s career since day one will easily and rapidly come to the conclusion that there are much more elements connecting this new record with the likes of “Lightdark” (2008) and “Afterthoughts” (2013) than there are those separating them. Direct and inviting, moody and emotionally-charged, the ten compositions on offer provide the listener with numerous moments of sweet melancholia, massively adorned by the contribution of returning cellist Marianne De Chastelaine. Erra’s appreciation for all things Pink Floyd may indeed be audible throughout the album but it is in compositions such as “In Celebration” and the same-titled “Scintilla” that they really shine through. Simply-structured melodic solos, layered vocal lines…Erra has been a loyal student of the works of the above-mentioned legends these past few years and the all the lessons learned have most definitely paid off. Fans of Anathema may also recognise their band’s influence on the album but that should come as no surprise to anyone as Vincent Cavanagh has indeed offered his helping hand during the creative process. “Scintilla” may not be the kind of album capable of shaking the very foundations of Progressive Rock but it is, nevertheless, a cleverly-crafted record – one that I am sure his creator would describe as nothing other than a labour of love. That alone makes it deserving both your attention and support.